New motel complex opened January 2013. Studio and 2-brm luxury units. 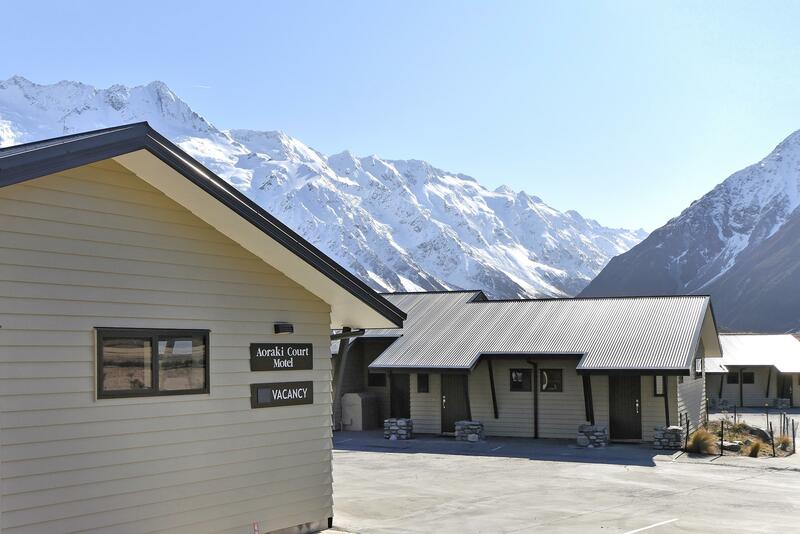 Each unit has stunning views of the Mt Sefton and the surrounding Southern Alps. Large units, beautifully appointed, radiator and underfloor heating, spa bath units, 32 and 42 inch LCD TV's, UNLIMITED FREE WIFI..
New motel complex opened January 2013. Studio and 2-brm luxury units. Each unit has stunning views of the Mt Sefton and the surrounding Southern Alps. . . . More . . .
Reflections by day is a relaxed café serving hearty cooked breakfast from 7am. Great coffees with homemade muffins, scones, cakes and sandwiches are available all . . . More . . .